“Fresh, wholesome food at an affordable price” This is the tale of a young, bumbling fool who went by the name of Stuart Ross. It begins on his graduation from the University of Aberdeen. After accepting his degree in Economics, he found himself at a loss as to what to do next. He decided to go out and get some lunch whilst he mulled it over. However, after searching Aberdeen top to bottom, Stu was at a loss to find some Fresh Wholesome Food at an affordable price. “This shall not Stand!” he declared. From that moment on, Grub was born. We believe that a fresh and wholesome lunch should not be expensive. Offering paninis, wraps and salads with a choice of 12 fillings, some traditional, some quirkier. 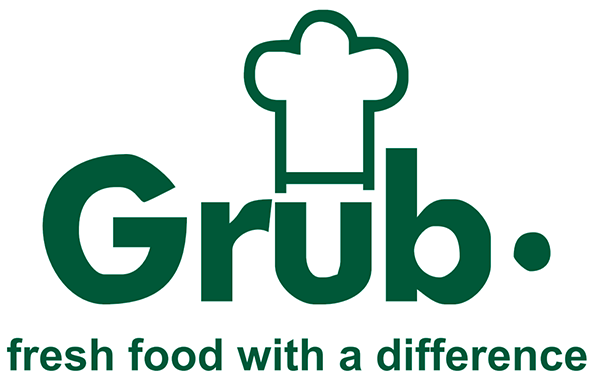 Served alongside our own healthy homemade soups and our not-so healthy homemade cakes, we at Grub Fresh Food aim to provide you with such a service. We offer a quality tailored catering service, with all food freshly made at our Bridge of Don branch and promptly delivered to your door. Check out our catering menu to browse our standard options. Apart from our standard packages, our catering team will take the time to put together a bespoke package that suites you! Doing any thing from corporate BBQ's to kids parties, whatever your requirements get in touch! With space for around 100 people, our spacious and modern Bridge of Don branch is available for hire for functions, meetings and events. Perfect for product launches, corporate dinners and drinks parties, we are conveniently situated at the Energy Park, a mere stone's throw.